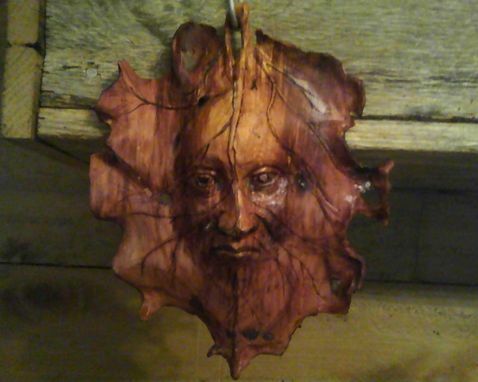 face carved juniper tree,hollowed out in back. extremely thin and light weight,used for wall hanging and also available in wind chime . This one is sold , these are made to order can take up to 30 hours to complete from start to finish depending on the wood used. Most are made from local woods,ie,maple,cedar,wild cherry,& walnut,But I can get bass wood from a local wood carvers supply store.